For over 350 years The Shibden Mill Inn has been at the heart of life in West Yorkshire’s Shibden Valley. The 17th century Inn is steeped in history – beginning life as a corn and spinning mill it was then sold to Halifax brewers the “Websters” in 1890 when it became a public house. Many years later the mill use has changed, but it is still bustling and thriving with activity – one of pleasure, fine food and world class wines. Beautifully located in the stunning Shibden Valley, the Shibden Mill Inn is an ideal base from which to explore the surrounding countryside. In summer, the valley setting and lovely gardens beside Red Beck provide a perfect spot for alfresco dining, whilst in the cooler months, the Inn’s open fires provide a warm welcome for visitors. The Inn has been sympathetically renovated to retain its original charm and character by owners, Simon & Caitlin Heaton with General Manager, Glen Pearson. Together, they pride themselves on creating a magical place where visitors and locals can enjoy time well spent with family and friends, sharing in life’s special moments and shaping memories to last a lifetime. Choose to experience AA 5 Silver Star Inn accommodation and 2 Rosette dining at its very best, at the highly-acclaimed Shibden Mill Inn and you will undoubtedly be planning your next visit before you have even left. The inn’s eleven individually styled en-suite bedrooms are supremely comfortable and luxurious, contributing to Shibden Mill’s outstanding reputation for warm hospitality and attracting people to the picturesque Shibden Valley. Dogs are welcome in public areas but not in the restaurant or rooms. Original oak beams and rafters add to the charm of both the Bar and the Grill Room, the latter proving a popular and romantic venue for special occasions with its cosy atmosphere – the award winning team offers a wide and varied selection of dishes to satisfy every taste, which can be enjoyed in either the characterful Bar or Grill Room. National recognition has been gained through a string of awards, with diners travelling from far and wide to experience the delights of the highly talented culinary team and enjoy regular themed evenings celebrating produce of the season. Shibden Mill Inn has 11 en-suite bedrooms. These consist of the Standard Rooms, Superior Rooms and Bower Suite. Each room in the 17th Century Inn has been restored and decorated by the owners and offers free WiFi, flat screen TV, DVD player with access to a DVD library, teas and coffees, towelling robes, ironing facilities, and comfortable double or king size beds with luxury soft furnishing. Guests are also given complimentary access to an exclusive member’s only health club. Head chef at the Shibden Mill Inn is Darren Parkinson who has previously worked as head chef at the Old Bore, Rishworth, West Yorkshire, and before that worked at the two-Michelin-starred Winteringham Fields in Lincolnshire, and Longueville Manor in Jersey. 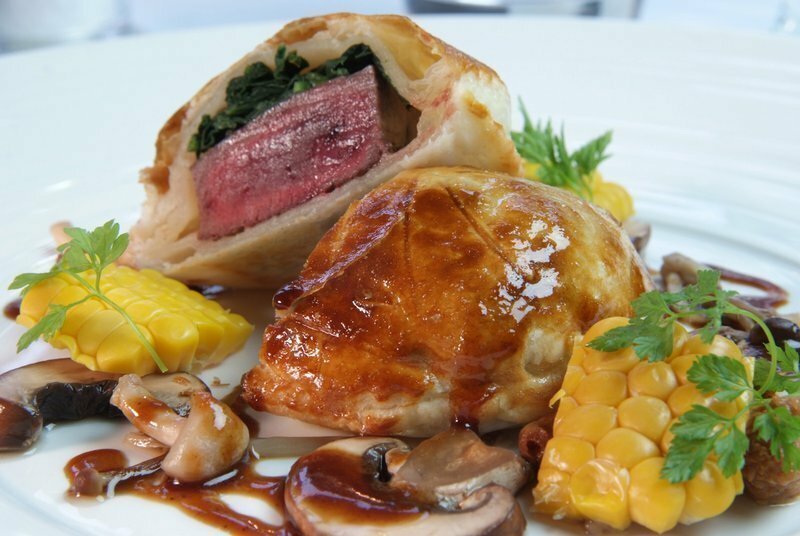 Darren prides himself in creating stunning Yorkshire menus using the best locally sourced ingredients. The Inn has its very own kitchen garden and Darren alters his menus each season so that the produce he uses is of the very best quality at the time. 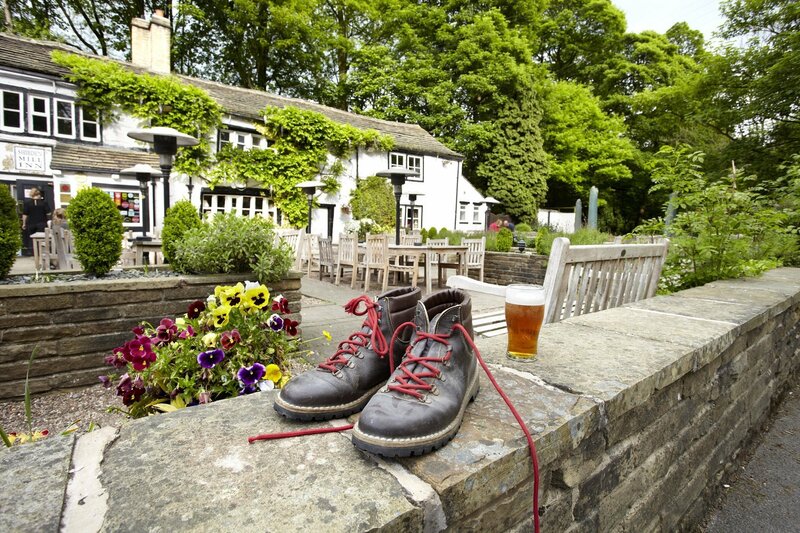 Under his management, the Shibden Mill Inn has been awarded two AA rosettes for culinary excellence as well as currently holding the title of the Best British Pub of the Year. There’s plenty to keep you entertained during your stay at Shibden Mill – here are just a few of the highlights for you to discover. Just 5 minutes from Shibden Mill Inn is Shidben Hall, which offers visitors a fascinating journey through the lives of the people who lived and worked there since 1420. Set in 90 acres of rolling parkland, with children’s rides, miniature railway, boating lake and woodland walks, it is an ideal location for a family day out. A major cultural asset for Yorkshire, The Hepworth is ‘one of the finest contemporary art museums in Europe’ (The Independent). 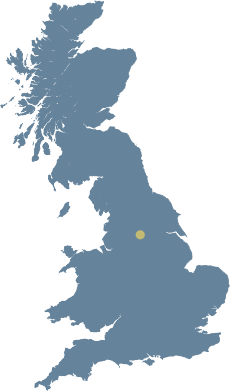 As the largest purpose-built exhibition space outside London, the gallery brings together work from Wakefield’s art collection, exhibitions by contemporary artists, as well as rare works by Barbara Hepworth. Slightly further afield, set in the heart of the Yorkshire countryside, is the stunning 18th Century Harewood House. Explore the 100 acres of exquisite gardens, renowned Bird Garden and the many galleries, drawing rooms and halls which retain their original splendour. Ogden Water Local Nature Reserve offers a superb spot to escape to, perfect for picnics, walking and feeding the ducks whilst taking in the stunning views. Only a short drive from Shibden Mill Inn, it is a tranquil location for the whole family to enjoy. Tucked away in West Yorkshire’s picturesque Shibden Valley, Shibden Mill Inn is the ideal base for exploring some of Britain’s most admired countryside – and thus has become a number one destination for outdoor enthusiasts and seasoned cyclists. 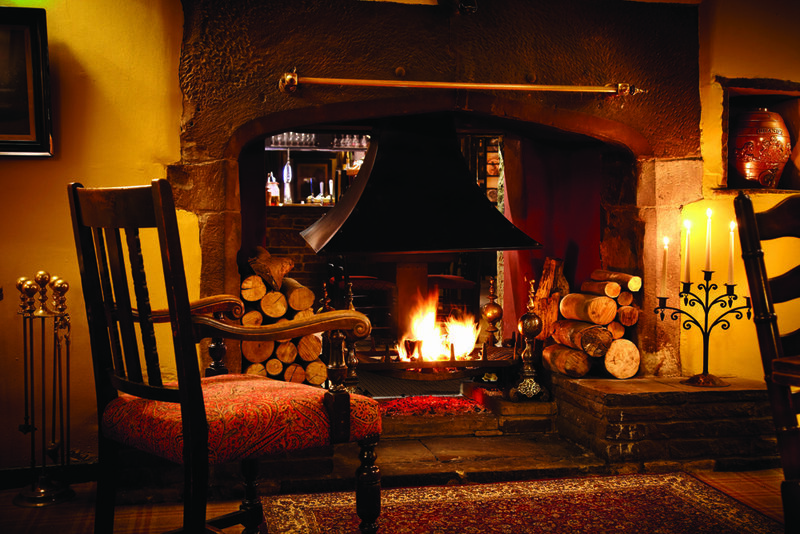 Steeped in history, this characterful 17th Century Inn is renowned for its welcoming atmosphere, tasteful interior and tranquil location – with original oak beams, exposed rafters and the flowing mill stream outside, acting as a gentle reminder of Inn’s enterprising past. With an enviable reputation for locally sourced and freshly cooked food served in a relaxed, yet elegant environment, cyclists can look forward to receiving a truly top notch Yorkshire fayre each and every time they visit. With eleven guestrooms, all completely unique and individually styled, there is something available for everyone. 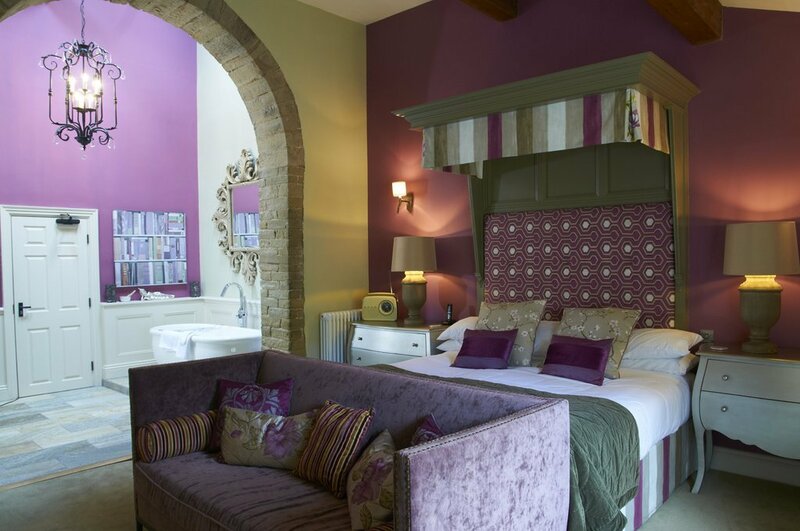 Each of the bedrooms feature either a comfortable double or king size bed, a stylish ensuite bathroom and soft luxury furnishings, which together make for a sublimely relaxing night’s stay – ideal after a day’s ride through the rolling Yorkshire hills. Cyclists are warmly welcomed, with on-site bike storage facilities available and the friendly staff more than happy to share their favourite routes – many leading right from the inns doorstep. The surrounding rugged landscape provides some of the best cycling routes in the Country, with four of the Inn’s suggested routes featuring sections from the notorious Tour de Yorkshire and Tour de France. Sitting at the bottom of the infamous Shibden Wall, we would certainly recommend making this section the last leg of your route back to Shibden Mill Inn… unless you enjoy a thigh-burning hill climb! Dogs welcome in public areas but not in the restaurant or bedrooms.